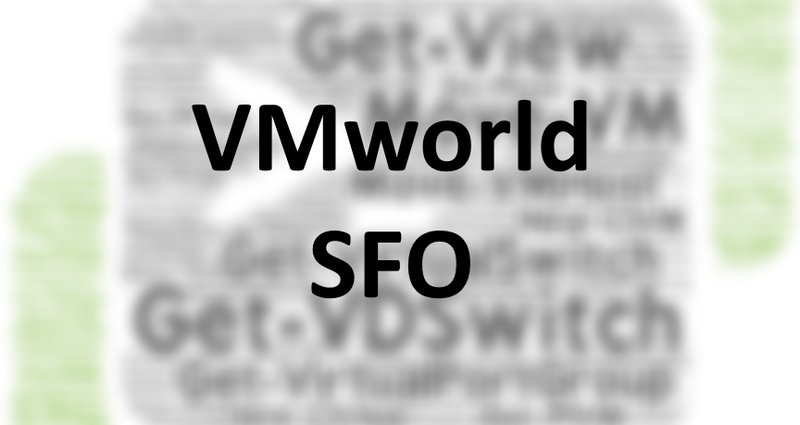 Firstly, I want to say I had a blast at VMworld SFO this year, it was a fantastic show and it really felt like everyone was buzzing with excitement and interest in VMware, the announcements, the partners and just about everything else that was going on. I think this may be one of my favorite years to date. On top of the general excitement there was of course the awesome group discussions, meet the experts, sessions and customer meetings which I took part in, I was lucky enough to present on some awesome topics this year, the normal PowerCLI deep dive I give with Luc (see below) and also a fantastic new technology called Instant Clone (AKA VMfork). The instant clone presentation is not yet available but for those who are into PowerCLI I wanted to let you know that Luc and my session was made available for everyone to view via PowerCLI, including the information we gave on best practices and also a technical preview of PowerCLI. If you are going to VMworld Barcelona do not worry, we are already adjusting our session to be even better with more best practices and even more information on the awesomeness of PowerCLI. Well worth attending and watching this as well.